OUR DAILY FISHING REPORTS WITH PICTURES ARE NOW ON OUR FACEBOOK PAGE. CLICK ON THE LINK ABOVE TO VIEW OUR FACEBOOK PAGE. CAPTURED OUR LIMIT OF WALLEYES AGAIN TODAY. WE HAVE BEEN FISHING EAST OF MIDDLE ISLAND IN CANADA FOR A COUPLE OF WEEKS AND IT COULDN'T BE ANY BETTER. USED 40 TRU TRIPS BACK 75' TO 90' WITH THE BIGGER MICHIGAN STINGER SPOONS. WILL BE OFF FOR A FEW DAYS TILL MY NEXT TRIP. CAPTURED 40 WALLEYE EAST OF MIDDLE ISLAND . USED 40' TRU TRIPS BACK 80' AND 85' WITH SPOONS AND WORM HARNESSES. I HAD 2 BOATS OUT TODAY AND BOTH LIMITED OUT EARLY. CAPTURED 39 WALLEYE EAST OF MIDDLE ISLAND. USED 40 TRU TRIPS BACK 80' AND 85' WITH SPOONS AND WORM HARNESSES . PERCH EAST OF THE DUMPING GROUNDS OFF CEADAR POINT. FISHED EAST OF GULL SHOAL AGAIN. CAPTURED OUR LIMIT EARLY. USED 40 TRU TRIPS BACK 60' TO 70' WITH WORM HARNESSES AND LARGE MICHIGAN STINGER MAGNUM SPOONS. FISHED EAST OF GULL SHOAL TODAY. USED 40'TRU TRIPS BACK 60' TO 70' WITH WORM HARNESSES AND BIG MICHIGAN STINGER SPOONS. CAPTURED 30 WALLEYE YESTERDAY AND 37 WALLEYE TODAY AND THE 2ND BOAT LIMITED WITH 26 WALLEYE EAST OF PELEE ISLAND TODAY ALSO. USED 40 TRU TRIPS BACK 40'AND 55' WITH LARGE STINGER SPOONS AND WORM HARNESSES. CAPTURED 37 WALLEYE EAST OF PELEE ISLAND TODAY . USED 40 TRU TRIPS BACK 40' AND 45' WITH SCORPION SPOONS. CAPTURED 38 BIG WALLEYE ACROSS THE BORDER TODAY. USED 40 TRU TRIPS BACK 35' AND 55' WITH SCORPION SPOONS AND HOME BEFORE NOON. FISHED WEST OF NORTH BASS ISLAND. USED 40 TRU TRIPS BACK 35, WITH SCORPION SPOONS. FISHED IN CANADA AND ENDED UP WITH 39 WALLEYE. USED 40 TRU TRIO BACK 40' AND 45' WITH SCORPION SPOONS. CAPTURED 38 WALLEYE NORTHWEST OF NORTH BASS TODAY. USED 40' TRU TRIPS BACK 35' WITH SCORPION SPOONS. HOME EARLY! CAPTURED 37 WALLEYE AND HOME EARLY. FISHED NORTHWEST OF NORTH BASS ISLAND. USED 40 TRU TRIPS BACK 35' TO 45' BACK WITH SCORPION SPOONS. CAPTURED 39 WALLEYE WEST OF GULL SHOAL. USED 40 TRU TRIPS BACK 35' AND 55' WITH SCORPION SPOONS. CAPTURED 27 WALLEYE ON THE 1ST TRIP AND 20 WALLEYE ON THE 2ND TRIP. FISHED WEST OF RATTLESNAKE ISLAND. USED 40 TRU TRIPS BACK 55' WITH SCORPION SPOONS. FELT LIKE NOVEMBER OUT. CAPTURED 35 WALLEYE AND HOME BEFORE 12:OOPM. USE 40 TRU TRIPS BACK 30' TO 45' WITH SCORPION SPOONS. FISHED SOUTH OF KELLEY'S ISLAND. USED 4O TRU TRIPE BACK 25' TO 35' BACK WITH SCORPION SPOONS. CAPTURED 38 WALLEYE AND HOME BY NOON. FISHED WEST OF MIDDLE ISLAND. USED 40 TRU TRIPS BACK 45' TO 60' WITH SCORPION SPOONS. MANAGED TO CAPTURE 23 WALLEYE TODAY. 3 WALLEYE OVER 29". USED 40 TRU TRIPS BACK 20' TO 30' WITH SCORPION SPOONS. FISHED OFF SCOTT POINT SHOAL. CAPTURED 37 NICE WALLEYE AND IN BY 12:00 TODAY USEED 40' TRU TRIPS BACK 20' AND 25' WITH SCORPION SPOONS. FISHED CLOSE TO AMERICAN EAGLE SHOAL. CAPTURED 36 WALLEYE WEST OF GULL SHOAL TODAY . USED 40 TRU TRIPS BACK 45' TO 55' WITH SCORPION SPOONS. CAPTURED 30 WALLEYE WEST OF GULL SHOAL TODAY. USED 40' TRU TRIPS BACK 40' TO 55' WITH SCORPION SPOONS. CAPTURED 36 WALLEYE ON THE 1ST TRIP AND 21 WALLEYE ON THE 2ND TRIP AND DONE EARLY. USED 40' TRU TRIPS BACK 30' AND 35' WITH SCORPION SPOONS. HAD 5 BOATS OUT AND ALL LIMITED OUT. CAPTURED 32 WALLEYE AND CAME IN EARLY. WE ALL USED 40' TRU TRIPS BACK 35' TO 50' WITH SCORPION SPOONS. FISHED WEST OF RATTLESNAKE ISLAND TO SOUTHEAST OF NIAGRA REEF. CAPTURED 29 NICE WALLEYE WEST OF RATTLESNAKE ISLAND TODAY. USED 40' TRU TRIPS BACK 35' AND 40' WITH SCORPION SPOONS. 5 BOATS MANAGED 71 WALLEYE TODAY FISHED RATTLESNAKE ISLAND AND GULL SHOAL. BEST BITE WAS 35' AND 40' BACK ON TRU TRIP DIVERS AND SCORPION SPOONS. SPEED WAS 1.6 TO 1.8 KNOTS. I MANAGED TO CAPTURE 12 WALLEYE ON A TROLL ALL THE WAY AROUND SOUTH BASS. USED 40' TRU TRIPS BACK 25' TO 45' WITH SCORPION APOONS. HAD A 3 BOAT TRIP THAT MANAGED 37 FISH BETWEEN THE BOATS WEST OF MIDDLE BASS. CAPTURED 20 NICE WALLYE NORTH OF CONE REEF. USED 40' TRU TRIPS BACK 40' TO 50' WITH SCORPION SPOONS. RATTLESNAKE ISLAND AREA HAD A BETTER BITE THAN OUT WEST. CAPTURED 28 NICE WALLEYE WEST OF RATTLESNAKE ISLAND. USED 40' TRU-TRIPS BACK 40' WITH MICHGIGAN STINGER SCORPION SPOONS. TROLLING SPEED AROUND 1.6 KNOTS. HAD TO WORK HARD TODAY TO CAPTURE 25 REAL NICE WALLEYE. WE TROLLED REEF RUNNERS BACK 90' TO 120' BACK AND TRU-TRIP 40' DIVERS WITH SCORPION SPOONS BACK 35' TO 50' BACK. FISHED NORTH OF KELLEY'S ISLAND IN THE DEEP WATER. CAPTURED A 4 MAN LIMIT OF 16 WALLEYES WEST OF CATAWABA TODAY. FISHING STARTED GOOD THEN COULDN'T FIND THEM UNTILL I MOVED WEST 2 TO 3 MILES. BIGGEST WALLEYE WAS 10 1\2 POUNDS AND 30 1/2 INCHES LONG. USED HUSKY JERK DEEP DIVER 12'S BACK 45' AND 50'. SPED WAS AROUND 1.1 TO 1.2 KNOTS. THOUGHT IT WAS GOING TO BE A VERY SLOW DAY WITH ALL THE MUDDY WATER AFTER THE STORMS. MANAGED TO CAPTURE 17 BIG WALLEYE SOUTH OF SOUTH BASS ISLAND. 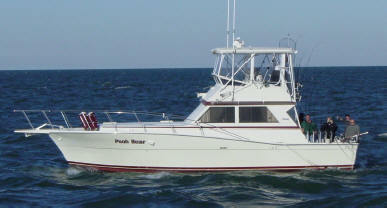 USED DEEP DIVER HUSKY JERKS BACK 35' TO 55' AND REEF RUNNERS 35' TO 55' BACK. SLOW FISHING AFTER BIG WEATHER BLOW!!! CAPTURED 12 WALLEYE AFTER 4 HOURS FISHING AND WENT IN EARLY. USED 40' TRU TRIPS BACK 65' TO 70' WITH SCORPION SPOONS. CANT BE MUCH BETTER !!! CAPTURED 39 WALLEYE AND HOME BEFORE NOON. USED 40' TRU TRIPS BACK 45' AND 5O, WITH SCORPION SPOONS. WE FISHED WEST OF WEST REEF ON NORTH BASS ISLAND. CAPTURED 20 WALLEYE AND HOME EARLY. USED 40' TRU TRIPS BACK 40'AND 45' WITH SCORPION SPOONS. FISHED NORTH OF C CAN AND CAPTURED 37 WALLEYE. USED 40, TRU TRIPS BACK 40' TO 50' WITH SCORPION SPOONS. CAPTURED OUR LIMIT OF 18 FOR 3 PEOPLE, BUT IT TOOK ALL DAY WEST OF GREEN ISLAND. USED 40' TRU TRIPS BACK 15' TO 55' WITH SCORPION SPOONS. WE HAD 2 BOATS AND ONLY 24 WALLEYE TOTAL FOR A HALF DAY OF FISHING. FISHED WEST OF RATTELSNAKE. USED 40' TRU TRIPS BACK 45' TO 60' WITH SCORPION SPOONS. CAPTURED 38 WALLEYE WEST OF RATTELSNAKE ISLAND. USED 40' TRU TRIPS BACK 40 TO 55' WITH SCORPION SPOONS. CAPTURED 36 WALLEYES AND IN EARLY. USED 40'TRU TRIPS BACK 40' TO 50' WITH SCORPION SPOONS. CAPTURED 17 WALLEYE WITH A SHORT CREW TODAY. USED 40' TRU-TRIPS BACK 55' TO 60' WITH SCORPION SPOONS. CAPTURED 35 WALLEYE AND HOME BEFORE 11:OO AM.FISHED WEST OF RATTLESNAKE ISLAND. USED 40' TRU-TRIPS BACK 45' TO 55' WITH SCORPION SPOONS. CAPTURED 41 WALLEYE WEST OF RATTELSNAKE ISLAND. USED 40' TRU - TRIPS BACK 45' TO 50' WITH SCORPION SPOONS. CAPTURED 37 WALLEYE WEST OF GREEN ISLAND. USED 40' TRU-TRIPS BACK 45' TO 55' WITH SCORPION SPOONS. CAPTURED 36 WALLEYE WEST OF GREEN ISLAND. USED 40' TRU-TRIPS BACK 45' TO 55' WITH SCORPION SPOONS. STARTED GOOD THEN CAME THE GRASS NORTH OF C CAN. WE CAPTURED 27 WALLEYE. WE USED 40'TRU-TRIPS BACK 40' TO 55' WITH SCORPION SPOONS. HAD 4 PEOPLE FISHING FOR PERCH. CAPTURED 130 BY STARVE ISLAND. MANAGED TO CAPTURE 26 WALLEYE NORTH OF C CAN. USED 40' TRU-TRIPS BACK 30' TO 60' WITH SCORPION SPOONS. HAD 3 BOATS FISHING TODAY AND ALL LIMITED. I CAPTURED 40 WALLEYE SOUTH OF PEELE ISLAND. USED 40' TRU-TRIPS BACK 40' TO 45' WITH SCORPION SPOONS. CAPTURED 34 WALLEYE NORTH OF C CAN AND HOME EARLY. USED 40' TRU-TRIPS BACK 45' AND 50' WITH SCORPION SPOONS. CAPTURED 30 WALLEYE NORTH OF C CAN. USED 40' TRU-TRIPS BACK 40' AND 45' WITH SCORPION SPOONS. CAPTURED 35 WALLEYE WEST OF NORTH BASS ISLAND. USED 40' TRU-TRIPS BACK 50' TO 60' WITH SORPION SPOONS. CAPTURED 37 WALLEYE WEST OF NORTH BASS ISLAND. USED 40' TRU-TRIPS BACK 40' TO 60' WITH SCORPION SPOONS. CAPTURED 34 WALLEYE NORTH OF C CAN OUT WEST. USED 40' TRU-TRIPS BACK 40' TO 60' WITH SCORPION SPOONS. SPONSERS NOT FEELING WELL SO WE CAME IN EARLY. MANAGED TO CAPTURE 12 WALLEYE BEFORE THEY CALLED IT A DAY. USED 40' TRU-TRIPS BACK 35' TO 55' WITH SCORPION SPOONS. CAPTURED 38 NICE WALLEYE WEST OF NORTH BASS ISLAND. USED 40' TRU-TRIPS BACK 60' TO 70' WITH SCORPION SPOONS. CAPTURED 39 WALLEYE EAST OF KELLEYS ISLAND. USED 40' TRU-TRIPS BACK 50' TO 65' WITH SCORPION SPOONS AND WORM HARNESSES. FISHED SOUTH OF MIDDLE ISLAND AND CAPTURED 36 WALLEYE. USED 40' TRU-TRIPS BACK 55' AND 60' WITH SCORPION SPOONS AND WORM HARNESSES. CAPTURED 31 WALLEYE WEST OF PELEE ISLAND. USED 40' TRU-TRIP DIVERS BACK 40' AND 55' WITH SCORPION SPOONS AND WORM HARNESSES. MANAGED TO CAPTURE 33 WALLEYE SOUTH OF PELLEE ISLAND. USED 40' TRU-TRIPS BACK 40' WITH SCORPION SPOONS AND WORM HARNESSES. CAPTURED 34 WALLEYE BUT IT TOOK ALL DAY. FISHED WEST OF PELEE. USED 40' TRU-TRIPS BACK 45' WITH SCORPION SPOONS AND WORM HARNESSES. CAPYURED 36 WALLEYE WEST OF PELEE ISLAND. USED 40' TRU-TRIPS BACK 45' TO 55' WITH SCORPION SPOONS AND WORM HARNESSES. CAPTURED 37 WALLEYE WEST OF PELEE. USED 40' TRU-TRIPS BACK 55'WITH SCORPION SPOONS AND WORM HARNESSES. CAPTURED 38 WALLEYE WEST OF PELEE. USED 40' TRU-TRIPS BACK 60' AND 65' WITH SCORPION SPOONS AND WORM HARNESSES. HAD 4 PEOPLE AND CAPTURED 26 WALLEYE SOUTH OF PELEE ISLAND. USED 40' TRU-TRIPS BACK 55' WITH SCORPION SPOONS AND WORM HARNESSES. CAPTURED 34 WALLEYE SOUTH OF PELEE. USED 40' TRU-TRIPS BACK 55' AND 60' WITH SCORPION SPOONS AND NIGHTCRAWER HARNESSES. CAPTURED 30 WALLEYE AND HOME EARLY. FISHED WEST OF PELEE ISLAND. USED 40' TRU-TRIPS BACK 40' AND 45' WITH SCORPION SPOONS AND WORM HARNESSES. CAPTURED 40 WALLEYE WEST OF PELEE ISLAND. USED 40 TRU TRIPS BACK 45' AND 65' WITH SCORPION SPOONS AND WORM HARNESSES. WILL BE NOT FISHING AGAIN TILL 7-8-12. TAKING A SHORT BREAK. CAPTURED 31 WALLEYE WEST OF PELEE ISLAND. USED 40' TRU-TRIPS BACK 35' TO 65' WITH SCORPION SPOONS AND WORM HARNESSES. HAD 3 PEOPLE AND FINISHED WITH 22 WALLEYE WEST OF PELEE. USED 40' TRU-TRIPS BACK 35' AND 45' WITH SCORPION SPOONS AND WORM HARNESSES. CAPTURED 30 WALLEYE WEST OF PELEE ISLAND. USED 40' TRU-TRIPS BACK 40' AND 45' WITH SCORPION SPOONS AND WORM NARNESSES. CAPTURED 27 WALLEYE AND IN EARLY WEST OF PELEE ISLAND. USED 40' TRU-TRIPS BACK 30' TO 45' WITH SCORPION SPOONS AND WORM HARNESSES. JUST ABOUT AS FAST AS WE COULD GO!! CAPTURED 33 WALLEYE WEST OF PELEE ISLAND. USED 40' TRU-TRIPS BACK 35' AND 40' WITH SCORPION SPOONS AND WORM HARNESSES. CAPTURED 37 WALLEYE WEST OF PELEE ISLAND. USED 40' TRU-TRIPS BACK 35' AND 40' WITH SCORPION SPOONS AND WORM HARNESSES. MANAGED TO CAPTURE 31 WALLEYE IN CANADA. USED 40' TRU-TRIPS BACK 40' WITH SCORPION SPOONS AND WORM HARNESSES. GREAT FISHING IN CANADA. USED 40' TRU-TRIPS BACK 40' WITH SCORPION SPOONS AND WORM HARNESSES TO CAPTURE 36 BIG WALLEYE. CAPTURED 38 WALLEYE SOUTHWEST OF PELEE ISLAND. USED 40' TRU-TRIPS BACK 50' WITH SCORPION SPOONS AND WORM HARNESSES. CAPTURED 37 WALLEYE SOUTH WEST OF PELEE ISLAND. USED 40' TRU-TRIPS BACK 35' AND 40' WITH SCORPION SPOONS AND WORM HARNESSES. CAPTURED 13 WALLEYE IN CANADA WITH 2 FISHERMAN. USED 40' TRU-TRIPS BACK 35' AND 55' WITH SCORPION SPOONS AND WORM HARNESSES. CAPTURED 33 NICE WALLEYE. USED 40' TRU-TRIPS BACK 25' TO 40' WITH SCORPION SPOONS AND WORM HARNESSES. CAPTURED 39 WALLEYE SOUTH OF PELEE ISLAND. USED 40' TRU-TRIPS BACK 25' TO 40' WITH SCORPION SPOONS AND WORM HARNESSES. CAPTURED 36 WALLEYE SOUTH WEST OF PELEE ISLAND. USED 40' TRU-TRIPS BACK 25' AND 30' WITH SCORPION SPOONS AND WORM HARNESSES. ON THE FIRST TRIP WE CAPTURED 36 WALLEYE AND ON THE 2ND TRIP WE MANAGED 37 WALLEYE. WE USED 40' TRU-TRIPS BACK 25' TO 35' WITH SCORPION SPOONS AND WORM HARNESSES. WENT TO CANADA AND CAPTURED 38 WALLEYE AND HOME BEFORE NOON. USED 40' TRU-TRIPS BACK 40' AND 45' WITH SCOPION SPOONS AND WORM HARNESSES. WORKED ALL DAY FOR 26 NICE WALLEYES. FISHED WEST OF GULL SHOAL AND AROUND MIDDLE ISLAND. USED 40' TRU-TRIPS BACK 35' TO 45' WITH SCORPION SPOONS. CAPTURED 21 WALLEYE AND CAME IN A LITTLE EARLY. FISHED WEST OF GULL SHOAL. USED 40' TRU-TRIPS BACK 20' TO 35' WITH SCORPION SPOONS. CAPTURED 30 WALLEYE ON GULL SHOAL ON OUR FIRST TRIP USING 40' TRU-TRIPS BACK 30' TO 40' WITH SCORPION SPOONS. MANAGED ANOTHER 30 WALLEYE ON OUR 2ND TRIP EAST OF GULL SHOAL. USED 40' TRU-TRIPS BACK 20' AND 25' WITH SCORPION SPOONS. CAPTURED 29 WALLEYE WEST OF GULL SHOAL. USED 40' TRU-TRIPS BACK 35' TO 45' WITH SCORPION SPOONS. CAPTURED 25 WALLEYE NORTHWEST OF NORTH BASS ISLAND. USED 40' TRU-TRIPS BACK 40' TO 55' WITH SCORPION SPOONS. MANAGED TO CAPTURE ONLY 11 WALLEYES TODAY WEST OF WEST REEF. USED 40' TRU-TRIPS BACK 35' TO 40' WITH SCORPION SPOONS. MANAGED TO CAPTURE 31 WALLEYE EAST OF RATTLESNAKE ISLAND. USED 40' TRU-TRIP DIVERS BACK 30' TO 40' WITH SCORPION SPOONS. CAPTURED 37 WALLEYE WEST OF RATTLESNAKE ISLAND. USED 40' TRU-TRIPS BACK 25' TO 45' WITH SCPRPION SPOONS. HAD TO MAKE A MOVE, BUT CATCHING WAS EXCELLANT EAST OF NIAGRA REEF. USED 40' TRU-TRIPS BACK 30' TO 35' WITH SCORPION SPOONS. CAPTURED 36 WALLEYE WEST OF SOUTH BASS ISLAND. USED 40' TRU-TRIPS BACK 35 TO 45' WITH SCORPION SPOONS. CAPTURED 37 WALLEYE AROUND CRIB REEF. USED 40' TRU-TRIPS BACK 30' AND 35' WITH SCORPION SPOONS. FAST AS YOU CAN GO!! 1ST TRIP WE FISHED OFF LAKESIDE AND MANAGED 16 WALLEYE AND BACK AT DOCK IN 4 HOURS. 2ND TRIP WE FISHED EAST OF D CAN AND CAPTURED 38 WALLEYE AND WAS BACK AT THE DOCK IN 3 HOURS. USED 40' TRU-TRIPS BACK 30' AND 35' WITH SCORPION SPOONS. CAPTURED 33 WALLEYE NORTH OF STARVE ISLAND . USED 40' TRU-TRIPS BACK 25' TO 30' WITH SCORPION SPOONS. CAPTURED 24 NICE WALLEYE AND HOME EARLY. FISHED SOUYH OF AMERICAN EAGLE. USED 40' TRU-TRIPS BACK 25' AND 30' WITH SCORPION SPOONS. CAPTURED 33 REAL NICE WALLEYE SOUTH OF KELLEYS ISLAND. USED 40' TRU-TRIPS BACK 25' TO 35' BACK WITH SCORPION SPOONS. CAPTURED 31 WALLEYE AND IN AROUND 12:00 PM. FISHED OFF STARVE ISLAND. USED 40' TRU-TRIPS BACK 25' TO 35' WITH SCORPION SPOONS. CAPTURED 38 WALLEYE AND HOME BEFORE 12:00PM FISHED EAST OF WEST HARBOR REEF. USED 40' TRU-TRIPS BACK 25' TO 35' WITH SCORPION SPOONS. CAPTURED 37 WALLEYE AND HOME EARLY. FISHED SOUTH OF GREEN ISLAND. USED 40' TRU-TRIPS BACK 30' TO 50' WITH SCORPION SPOONS. CAPTURED 37 NICE WALLEYE SOUTH OF KELLEYS ISLAND. USED 40' TRU-TRIPS BACK 20' TO 35' WITH SCORPION SPOONS. CAPTURED 38 REAL NICE WALLEYES BY 11:00 AM WEST OF SOUTH BASS ISLAND. USED 40' TRU-TRIPS BACK 20' TO 35' WITH SCORPION SPOONS. CAPTURED 36 WALLEYE AND BACK BEFORE 12:OO PM. FISHED SOUTH OF AMERICAN EAGLE. USED 40' TRU-TRIPS BACK 25' AND 30' WITH SCORPION SPOONS. CAPTURED 24 WALLEYE AND HOME BY 11:00AM. FISHED NORTH OF AMRICAN EAGLE. USED 40' TRU-TRIPS BACK 25' TO 40' WITH MICHIGAN SCORPION SPOONS. CAPTURED 36 WALLEYE AND HOME EARLY. USED TRU-TRIP DIVERS BACK 30' TO 55' WITH SCORPION SPOONS. FISHED SOUTHWEST OF GREEN ISLAND. FISHED ON AMERICAN EAGLE SHOAL AND CAPTURED 28 WALLEYE BEFORE NOON. USED 40' TRU-TRIP DIVERS BACK 35 AND 40' WITH SCORPION SPOONS. CAPTURE 36 WALLEYE SOUTH OF SOUTH BASS. USED 40' TRU-TRIPS BACK 20' TO 45' WITH SCORPION SPOONS. CAPTURED 37 WALLEYE AND BACK EARLY. FISHED EAST OF D CAN. USED 40' TRU-TRIPS BACK 30' TO 50' WITH SCORPION SPOONS. CAPTURED 38 NICE WALLEYE NORTHEAST OF NIAGRA REEF. USED 40' TRU-TRIPS BACK 30' TO 55' WITH SCORPION SPOONS. CAPTURED 38 WALLEYE IN 2 HOURS OF FISHING TIME NORTH OF NIAGRA REEF. USED 40' TRU-TRIP DIVERS BACK 35' AND 40' WITH MICHIGAN SCORPION SPOONS. SPEED WAS 1.7 TO 1.8 KNOTS. 1ST MATE GOT SCARED,WE WENT IN EARLY WITH 13 WALLEYE. REEF RUNNERS BACK 55 TO 65'. CAPTURED 21 WALLEYE WEST OF KELLEY'S ISLAND ON REEF RUNNERS BACK 55' TO 75'. MANAGED TO CAPTURE a 5 MAN LIMIT OF 30 BIG WALLEYE EAST OF D CAN. 2ND BOAT CAUGHT 30 WALLEYE ALSO. USED REEF RUNNERS BACK 65' TO 75'. CAPTURED 21 BIGGER WALLEYE TODAY AROUND D CAN. USED REEF RUNNERS BACK 65' TO 75'. TRIED STARVE ISLAND AREA FOR 3 1/2 HOURS FOR ONLY 6,THEN WENT TO D CAN WITH MUCH BETTER RESULTS. MANAGED TO CAPTURE 15 NICE WALLEYE AROUND FLATROCK AND CONE REEFS. USED REEF RUNNERS BACK 55' TO 65'. CAPTURED 18 REAL NICE WALLEYE WEST OF NIAGRA. USED REEF RUNNERS BACK 50' TO 90'. THE BEST COLOR THE LAST 4 DAYS HAS BEEN LIGHTS OUT(PURPLE WITH PINK AND GRAY DOTS). CAPYURED A 6 MAN LIMIT OF 24 NICE WALLEYE NORTHEAST OF NIAGRA REEF. USED REEF RUNNERS BACK60' TO 75'. CAPYURED ONLY 10 WALLEYE TODAY TROLLING EAST OF NIAGRA REEF.USED REEF RUNNERS BACK 80' TO 100'. WEATHER COMMING IN WITH WIND CHANGES DIDN'T HELP. BELEIVE FISH WERE MOVING TOWARDS B CAN AREA. WON'T FISH FOR A FEW DAYS NOW. MANAGED TO CAPTURE A 4 MAN LIMIT OF 16 WALLEYE WITH A 7.1 LB AVERAGE. USED REEF RUNNERS BACK 65' 75' OFF NIAGRA REEF. CAPTURED ANOTHER 5 MAN LIMIT OF 20 WALLEYE TODAY WEST OF RATTLESNAKE ISLAND IN ROUGH WATERS. USED REEF RUNNERS BACK 75' TO 85' BACK. DID ANOTHER 5 MAN LIMIT OF 20 WALLEYE TODAY. FISHED EAST OF D CAN AGAIN. USED REEF RUNNERS BACK 75' TO 85'. LEFT DOCK AROUND 2:00PM AND TOOK A 5 MAN LIMIT OF 20 WALLEYE IN 3 HOURS OF FISHING. FISHED EAST OF D CAN AGAIN. USED DEEP DIVE HUSKEY JERKS BACK 40' TO 55' . SPEED WAS 1.3 TO 1.6 KNOTS. MANAGED TO CATCH 17 REAL NICE WALLEYE AND DROPPED ANOTHER 12 FISH. FISHED CLOSE TO F CAN. THE KEY WAS TO STAY IN THE STAINED WATER. MOST EVERYBODY WAS CATCHING WHEN THEY WERE ON THE FISH. USED DEEP DIVER HUSKY JERKS BACK 25' TO 45'. MY SPEED WAS 1.2 KNOTS. GREAT START TO THE NEW SEASON. Managed to capture 18 real nice walleye today, glad I only had 3 fisherman and they caught there limit. I believe the fish moved down inside and we ran out over them. Used reefrunners back 65' to 80' with 2 oz of weight and 100' to 120' with no weight. Captured 37 walleye north of Vermilion. Possibly the most weight of the season. Used Reefrunners back 65' to 80' with 2 oz. Of weight and 100' to 120' back with no weight. Captured 38 big walleye Nortwest of vermilion. Used reefrunners back 65' to 80' with 2 oz. Of weight and 100' to 120' with no weight. Captured 28 real nice walleye northwest of vermilion. Used reefrunners back 110' to 120' deep and 65' to 80' with 2 oz. Of weight. Only fished 3 1/2 hours but managed to capture 13 walleye in the afternoon. Usedreef runners back 55' and 65' with 2 oz.of weight. Captured 21 walleye with 8 of them being fish Ohio's. Fished north of Vermilion. Used reef runners back 70' to 110' with and without 2 oz. Of weight. Captured16 nice walleye north of Vermilion. Used Reef Runners back 75' to 100' with and without 2 oz. Of weight. Another good day of big fish. Captured 27 nice walleye northwest of Vermilion. Used 40' tru-trip divers back 65' to 90' with big stinger spoons. captured 29 big walleye northwest of Vermilion. Biggest walleye was 11 1/2lbs. Used 40' tru-tri divers back 65' to 90' with big Michigan Stinger spoons. Captured 18 big walleye northwest of Vermilion. Used 40' tru-trip divers back 65' to 90' with big Michigan stinger spoons. Fished northeast of vermilion today. Captured18 big walleye today. Used 40' tru-trip divers back 120' with big Michigan stinger spoons. Finally the weather has settled down and the water is starting to clean up. Fished northeast of Vermilion. Captured 18 real nice walleye. Used 40' tru-trip divers back 75' and 90' with scorpion spoons. MANAGED TO CAPTURE 7 WALLEYE ALL DAY. WE HAD TO THROW BACK 2 THAT WERE UNDER SIZE. THE NEXT BEST BOAT THAT I KNEW OF HAD 4 WALLEYE. WATER WAS GOOD, BUT DID NOT SEE MANY GOOD WALLEYE MARKS ON THE SONAR.WE CAUGHT JUST ABOUT AS MANY AS WE MARKED ON THE FISH FINDER. USED 40' TRU-TRIP DIVERS BACK 35' TO 60' WITH SCORPION SPOONS. HAVE NOT FISHED MUCH WITH THE WEATHER AND WATER CONDITIONS WITH ALGEA AND HEAVY GRASS CONCENTRATIONS WHERE THE WALLEYE ARE.HAVE BEEN MOVING TRIPS AROUND TRYING TO GET THE CUSTOMERS ON BETTER DAYS OF FISHING. HAVE RAN A FEW PERCH TRIPS WHICH HAVE BEEN GOOD. FISHED FOR WALLEYE OFF VERMILON TODAY.CUSTOMERS BECAME SEA SICK AND WAS BACK AT DOCK WITH IN 3 HOURS. CAPTURED JUST 1 WALLEYE IN 2 HOURS OF FISHING. THE BEST BOAT THAT FISHED ALL DAY ENDED UP WITH 7 WALLEYE FOR THE DAY. USED 40' TRU-TRIPS BACK 35' TO 105' WITH SCORPION SPOONS. THE OTHER BOATS WERE USING 40'TRU-TRIP DIVERS WITH NIGHTCRAWLER HARNESSES AND CRANK BAITS. TRIED TO WALLEYE FISH BUT THE GRASS WAS SO BAD IT BROKE LINES AND CLOGGED EVERYTHING UP, MAKING IT IMPOSSIBLE TO TROLL FOR WALLEYE. SWITCHED TO PERCH AND MANAGED HALF A LIMIT FOR THE DAY. ONLY HAD 3 CUSTOMERS, THANK GOODNESS. CAME IN WITH 14 WALLEYE,4 SHORT OF THERE LIMIT. FISHED WEST OF MIDDLE ISLAND. USED 40'TRU-TRIP DIVERS BACK 50' AND 60' WITH SCORPION SPOONS. WENT TO WEATHER BOUY AGAIN. ONLY USED $508.00 WORTH OF FUEL TO GET THERE AND BACK. CAPTURED 38 NICE WALLEYE. USED 40' TRU-TRIPS BACK 70' TO 100' WITH SCORPION SPOONS, THE DYPSY BITE WAS VERY GOOD LATER IN THE DAY, WE RAN THEM DEEP WITH SCORPION SPOONS. WE ENDED UP AT PUT-IN-BAY AFTER 4 HOURS OF BAD PERCH FISHIN, STILL HAD FUN! WE CAPTURED OUR CREWS LIMIT SOUTHEAST OF THE MONUMENT, BUT IT WAS SLOW. CAPTURED 120 NICE PERCH AND IN FOR LUNCH. FISHED SOUTH OF KELLYS ISLAND. FISHED WEST OF MIDDLE ISLAND AND CAPTURED 13 NICE WALLEYE. THE FISH JUST SHUT DOWN WITH ALL THE STORMS AND HEAVY RAINS. USED 40' TRU-TRIP DIVERS BACK 35' TO 45' WITH SCORPION SPOONS. DID WELL CAPTURED OUR LIMIT WEST OF KELLEYS, OFF THE STONE DOCK. FISHED 1/2 DAY EAST OF MIDDLE ISLAND AND ONLY CAPTURED 7 WALLEYE. THE CAPTAINS FURTHER EAST DID WELL THOUGH CLOSE TO THE WEATHER BOUY. CAPTURED 210 PERCH NORTH OF AMERICAN EAGLE SHOAL TODAY. CAME IN 49 PERCH SHORT OF OUR LIMIT. MOVED 6 TIMES. THE BEST WAS BALLAST ISLAND AREA. WHAT A DIFFERENCE A DAY MAKES. CAPTURED 210 NICE YELLOW PERCH AND IN BEFORE LUNCH. FISHED SOUTH OF GREEN ISLAND. CAPTURED 210 NICE PERCH NORTHEAST OF BALLAST ISLAND. WENT PERCH FISHING TODAY AND CAPTURED 125 NICE PERCH JUST EAST OF BALLAST ISLAND. CAPTURED 24 WALLEYE WEST OF GULL SHOAL TODAY. USED 40' TRU-TRIP DIVERS BACK 50' AND 60' WITH SCORPION SPOONS. CAPTURED 19 WALLEYE TODAY. STARTED FISHING AROUND 12:00PM AND FINISHED AROUND 6:OOPM. CAPTAINS THERE EARLY HAD AROUND 30 WALLEYE. USED 40' TRU-TRIP DIVERS BACK 55' AND 60' WITH SCORPION SPOONS. CAPTURED 24 NICE WALLEYE TODAY. FISHED EAST OF KELLEYS ISLAND FOR 15 FISH THEN MOVED WEST OF MIDDLE ISLAND FOR 9 MORE FISH. BATTLED GRASS AND WHITE BASS MOST ALL DAY. USED 40' TRU-TRIP DIVERS BACK 55' AND 60' WITH SCORPION SPOONS. CAPTURED 24 WALLEYE AND HOME BEFORE 11:00AM. FISHED EAST OF KELLEYES. USED 40' TRU-TRIP DIVERS BACK 55' AND 60' WITH SCORPION SPPONS. WORKED HARD TO GET 26 WALLEYE TODAY. HAD TO FISH THROUGH THE GRASS AND SHEEPHEAD. FISHED NORTHWEST OF MIDDLE ISLAND. USED 40' TRU-TRIPS BACK 60' AND 65' WITH SCORPION SPOONS. FISHED WEST OF MIDDLE ISLAND AND MANAGED ONLY 14 WALLEYE. HAD HEAVY GRASS CLOGGING EVERY THING UP. STARTED TO CLEAR UP LATE AND ANGLERS STARTED TO CATCH. WILL TRY AGAIN TOMORROW IN THE SAME AREA. USED 40' TRU-TRIPS BACK 45' TO 75' WITH SCORPION SPOONS. CAPTURED OUR LIMIT AND WAS IN BEFORE LUNCH. FISHED WEST OF MIDDLE ISLAND. USED 40' TRU-TRIPS BACK 55' TO 65' WITH SCORPION SPOONS. RAN 2 TRIPS TODAY. THE 1ST TRIP WE CAPTURED 32 WALLEYE EAST OF MIDDLE ISLAND. WE USED 40' TRU-TRIPS BACK 55' AND 60' WITH SCORPION SPOONS. ON THE 2ND TRIP WE CAPTURED 31 WALLEYE WEST OF MIDDLE ISLAND. WE USED 40' TRU-TRIPS BACK 45' AND 50' WITH SCORPION SPOONS. CAPTURED 36 WALLEYE AND HOME BY LUNCH. FISHED EAST OF MIDDLE ISLAND. WE USED 40' TRU-TRIP DIVERS BACK 50' TO 60' WITH SCORPION SPOONS. CAPTURED 34 WALLEYE AND HOME EARLY. FISHED EAST OF MIDDLE ISLAND. USED 40' TRY-TRIP DIVERS BACK 50' AND 55' WITH SCORPION SPOONS. CAPTURED 37 WALLEYE AND IN EARLY OFF GULL SHOAL. USED 40' TRU-TRIP DIVERS BACK 60' AND 65' WITH SCORPION SPOONS. STARTED GOOD, HAD 22 WALLEYE BY 11:OO AM BUT SOMEONE TURNED THE SWITCH OFF ON US. WE ENDED UP WITH 27 WALLEYE ,JUST 3 SHORT OF OUR LIMIT FOR 5 PERSONS ON BOARD. FISHED WEST OF MIDDLE ISLAND. USED 40' TRU-TRIP DIVERS BACK 55' AND 60' WITH SCORPION SPOONS. CAPTURED 37 WALLEYE AND HOME EARLY. FISHED WEST OF MIDDLE ISLAND. USED 40' TRU-TRIP DIVERS BACK 55' AND 60' WITH SCORPION SPOONS. WENT NORTH OF HURON, HEARD THERE WAS A BITE GOING ON WITH BIGGER FISH. BIG MISTAKE, ONLY CAPTURED 11 WALLEYE FOR THE DAY. DIDN'T SEE ANY OTHER BOATS ,BUT IT WAS 3' TO 5' WAVES AND PLENTY OF SHEEPHEAD AND SMALL WHITE BASS. CAPTURED 36 WALLEYES AND HOME FOR LATE LUNCH. FISHED BETWEEN A AND B CAN. USED 40' TRU-TRIPS BACK 45' TO 50' WITH SCORPION SPOONS. STORMS SCARED 1ST MATE GREGG SO WE CAME HOME EARLY BUT STILL CAPTURED 35 WALLEYE. FISHED AROUND B CAN AREA. USED 40' TRU-TRIP DIVERS BACK 45' AND 50' WITH XCORPION SPOONS. SHEEPHEAD SHEEPHEAD AND MORE SHEEPHEAD !!!! MANAGED TO CAPTURE ONLY 24 WALLEYE TODAY THAT WE COULD KEEP. WE THREW BACK AROUND 15 THAT WERE 12" TO 14" AND AROUND 4,332 SHEEPHEAD. FISHED WEST OF MIDDLE ISLAND. USED 40' TRU-TRIPS BACK 50' TO 70' WITH SCORPION SPOONS. CAPTURED 37 NICE WALLEYE EAST OF KELLEYS ISLAND, USED 40' TRU-TRIP DIVERS BACK 45' TO 65' WITH SCORPION SPOONS. 2ND BOAT HAD 35 BIG WALLEYE BY THE WEATHER BOUY. TOO ROUGH FOR 1ST MATE JACK. HE DID NOT TAKE HIS SCARED PILLS TODAY, HAD TO STAY AT THE DOCK. WILL BE ON VACATION FOR 1 WEEK AT PUT-IN-BAY, MAYBE I'LL SEE SOME OF YOU THERE. WILL FISH ON JULY 9TH NEXT. ONLY CAPTURED 14 WALLEYE TODAY. FISHED WEST OF NORTH BASS. USED 40' TRU-TRIP DIVERS BACK 55' WITH SCORPION SPOONS. CAPTURED 36 WALLEYE AND HOME EARLY. FISHED NORTH OF C CAN. USED 40' TRU-TRIP DIVERS BACK 50' TO 70' WITH SCORPION SPOONS. CAPTURED ONLY 11 REAL NICE WALLEYES EAST OF MIDDLE ISLAND. BOYS OUT WEST DID BETTER. WILL HEAD THAT WAY TOMMORROW. USED 40' TRU-TRIPS BACK 60' TO 75' WITH SCORPION SPOONS. 1ST MATE JACK WAS SCARED SO WE STAYED AT THE DOCK. CAPTURED 2 WALLEYE AND WENT HOME. VERY BAD WEATHER. CAPTURED OUR LIMIT WEST OF RATTLESNAKE ISLAND TODAY. USED 40' TRU-TRIP DIVERS BACK 55' TO 75' WITH SCORPION SPOONS. CAPTURED 39 WALLEYE AND HOME EARLY. FISHED WEST OF NORTH BASS ISLAND. USED 40' TRU-TRIP DIVERS BACK 50' TO 60' WITH SCORPION SPOONS. WE LEFT THE DOCK AT 12:45 PM AND FINISHED AT 6:00 PM WITH 30 WALLEYE. FISHED WEST OF NORTH BASS ISLAND. WE USED 40' TRU-TRIP DIVERS BACK 50' TO 70' WITH SCORPION SPOONS. CAPTURED 36 WALLEYE EAST OF D CAN AND LOTS OF SHEEPHEAD AND WHITE BASS TO GO ALONG. 40' TRU-TRIP DIVERS BACK 22' AND 25' WITH SCORPION SPOONS DID THE JOB. 4'TO 6' WAVES NORTHEAST OF KELLEYS ISLAND. MANAGED TO CAPTURE 20 NICE WALLEYE ON 40' TRU-TRIP DIVERS BACK 30' TO 45' WITH SCORPION SPOONS. TOOK A WHILE BUT WE FOUND THEM NORTHEAST OF KELLEYS ISLAND. CAPTURED 37 REAL NICE WALLEYE ON 40' TRU-TRIPS DIVERS WITH SCORPION SPOONS 30' TO 45' BACK. CAPTURED 36 WALLEYES AND HOME EARLY. FISHED NEAR GULL SHOAL. USED 40' TRU-TRIP DIVERS BACK 35' TO 45' WITH SCORPION SPOONS. CAPTURED 36 WALLEYE BEFORE 1:00PM AND HOME EARLY. FISHED NEAR GULL SHOAL. USED 40' TRU-TRIP DIVERS BACK 40' AND 50' WITH SCORPION SPOONS. MANAGED TO CAPTURE 32 REAL NICE WALLEYE OFF GULL SHOAL. USED 40' TRU-TRIP DIVER BACK 30' TO 50' WITH SCORPION SPOONS. 1ST MATE JACK SCARED SENT CUSTOMERS HOME. CAPTURED 38 WALLEYE THAT WENT 155 LBS OFF OF GULL SHOAL. USED 40' TRU-TRIP DIVERS BACK 30' TO 40' WITH SCORPION SPOONS. CAPTURED ONLY 25 WALLEYE, BUT THEY WERE REAL NICE IN SIZE. FISHED OFF KELLEYS SHOAL. USED 40' TRU-TRIPS BACK 30' WITH SCORPION SPOONS. THE BETTER BITE WAS WEST OFF MIDDLE ISLAND IN THE MORNING. CAPTURED OUR LIMIT EARLY TODAY USING 40' TRU-TRIP DIVERS BACK 25' TO 35' WITH SCORPION SPOONS. FISHED OFF NORTH BASS. CAPTURED 24 WALLEYE AND QUIT EARLY. FISHED AMERICAN EAGLE SHOAL. USED 40' TRU-TRIP DIVERS BACK 20' TO 35' WITH SCORPION SPOONS. CAPTURED 37 WALLEYE ON THE NORTHWEST CORNER OF KELLEYS ISLAND. VERY NICE FISH. USED 40' TRU-TRIP DIVERS BACK 20' TO 55' WITH SCORPION SPOONS. CAPTURED 32 BIGGER WALLEYE TODAY WEST OF GULL SHOAL. USED 40'TRU-TRIP DIVERS BACK 25' AND 30' WITH SCORPION SPOONS. CAPTURED 25 WALLEYE AROUND D CAN TODAY STARTED GREAT THEN SOMEONE TURNED THE SWITCH OFF. USED 40' TRU-TRIPS BACK 25' WITH SCORPION SPOONS. FISHED MOVED SOMEWHERE, WE WILL FIND THEM. CAPTURED 36 REAL NICE FISH EAST OF SOUTH BASS ISLAND. USED 40' TRU-TRIP DIVERS BACK 20' TO 25' WITH SCORPION SPOONS. TOOK ALL DAY WITH TONS OF SHEEPHEAD ON THE HOOK ALSO. CAPTURED 37 WALLEYE ON OUR FIRST TRIP ON AMERICAN EAGLE SCHOAL WITH 40' TRU-TRIP DIVERS BACK 30' AND 35' WITH SCORPION SPOONS. ON OUR 2ND TRIP WE CAPTURED 36 WALLEYE NORTH OF STARVE ISLAND WITH 40' TRU-TRIP DIVERS BACK 20' TO 30' WITH MICHIGAN STINGER SCORPION SPOONS. BEST COLORS WERE POOH BEAR PURPLE, POOH BEAR CHARTRUESE AND YEAGER BOMB. CAPTURED 37 WALLEYE AND HOME EARLY. BURNT SOME GAS AND WENT TO NIAGRA REEF AREA. USED 40' TRU-TRIPS BACK 30' TO 50' WITH SCORPION SPOONS. CAPTURED 22 NICE WALLEYE WITH 3 OVER 28". FISHED WEST OF GULL SCHOAL. USED 40' TRU-TRIP DIVERS BACK 30' TO 40' WITH SCORPION SPOONS. CAPTAINS OUT WEST ARE GETTING LIMITS IF THEY GET OUT EARLY, BUT NOT AS BIG OF FISH. CAPTURED 28 WALLEYE WEST OF NIAGRA. CAPTAINS IN THERE EARLY WENT HOME WAY EARLY WITH LIMITS. USED 40' TRU-TRIPS BACK 40' TO 45' WITH SCORPION SPOONS. CAPTURED 28 NICE WALLEYE SOUTH OF KELLEYS ISLAND. USED 40' TRU-TRIP DIVERS BACK 20' TO 30' WITH SCORPION SPOONS. CAPTURED 37 WALLEYE BY 10:40 AM ON THE SOUTH SIDE OF KELLEYS ISLAND. USED THE TRU-TRIP 40'S BACK 40' WITH SCORPION SPOONS. HAD A PERCH WALLEYE COMBO FOR 2 BOATS AND IT WAS VERY SLOW. EACH BOAT CAUGHT 6 WALLEYES CASTING AND JUST A FEW PERCH, BUT THINK WE FOUND A GOOD WALLEYE AREA FOR TOMMORROW. CAPTURED 12 WALLEYE AGAIN TODAY ON AMERICAN EAGLE SHOAL. USED 40' TRU-TRIPS WITH SPOONS BACK 25' TO 35'. CAPTAINS DOWN WEST ARE DOING BETTER NOW. THINK WE ARE CLOSE TO A EXPLOSION IN CATCHING. WE CAPTURED 12 WALLEYE CLOSE TO BALLAST ISLAND, USED 40' TRU-TRIPS PULLING SCORPION SPOONS BACK 20' TO 45'. THE CANADIAN GUYS STUGGLED TODAY ALSO. LOOKS LIKE WATER IS GETTING CLEANER AND WATER SURFACE TEMPERATURE IS RISING FAST. BOYS OUT IN THE WEST SISTER AREA ARE DOING BETTER THE LAST COUPLE OF DAYS. WE ONLY MANAGED 6 WALLEYE BUT SEEN SOME OF THE TOURNAMENT BOYS DOING A GOOD JOB. THINK WE ARE CLOSE TO IT BREAKING LOOSE. ONE OF THE CAPTAINS CAUGHT DECENT EAST OF LUCYS POINT ON MIDDLE BASS. CUSTOMERS HAD TO LEAVE EARLY SO NO FISHING TODAY WITH THE FOG. ONLY MANAGED TO CAPTURE 1 WALLEYE OFF GULL SHOAL TODAT. GOOD CLEAN WATER BUT MARKED FEW FISH. THE LAKE WAS SHUT DOWN EXCEPT A FEW WERE CAUGHT IN CANADIA. NO FISHING FOR A FEW DAYS BECAUSE OF WEATHER. PULLED 24 NICE WALLEYE OFF NIAGRA REEF USING THE NEW 40' TRU- TRIP DIVERS PULLING SCORPION SPOONS(BEST COLOR WAS POOH BEAR PURPLE BY FAR) THOSE NEW TRU-TRIPS ARE REALLY SWEET, THEY DON'T PULL HARD AT ALL AND TRIP OUT LIKE THERE SUPPOSED TO. GOING TO BE A BIG HIT IN THE WESTERN END. CAPTURED 17 REAL NICE WALLEYE OFF STARVE ISLAND. USED 50' TRU-TRIP JETS PULLING RIPSTICKS BACK 50' TO 60'. CAUGHT A COUPLE ON DYPSYS. THEY STARTED TO TURN ON IN THE AFTERNOON WHEN THE WIND PICKED BACK UP. CAPTURED 5 WALLEYE CLOSE TO STARVE ISLAND. HAD 10 TO 12 MORE ON BUT WE KEPT LOOSING THEM. MAKES IT HARD WHEN FISHING IS THIS SLOW. MUST BE GETTING REACTIOARY HITS AND THE FISH ARE NOT GETTING HOOKS IN THE MOUTH. USED 50' TRU-TRIP JETS BACK 45' AND 50' PULLING RIPSTICKS. REAL NICE WALLEYE,BUT ONLY CAPTURED 12 OFF STARVE ISLAND AGAIN. USED 50' JETS BACK 45' TO 55' PULLING RIPSTICKS. SLOW ALL OVER THE LAKE. BIG FISH ,BUT FEW AND FAR BETWEEN. CAPTURED ONLY 5 WALLEYE ON 50'TRU-TRIP JET DIVERS BACK 50' PULLING RIP STICKS. FISHED OFF STARVE ISLAND. CAPTURED ONLY 6 WALLEYE BUT 2 WERE OVER 30". USED 50' TRU-TRIP JETS WITH RIPSTICKS BACK 35' AND 40' TRU-TRIP JETS WITH SCORPION SPOONS BACK 40'. FISHED CLOSE TO STARVE ISLAND. SEEN SOME SIGNS THAT MADE ME FEEL THEY ARE GETTING READY TO GO. WE CAPTURED 9 NICE WALLEYE WITH THE BIGGEST OVER 11 LBS. THE NEW 40' TRU-TRIP DIVER WITH MICHIGAN SCORPION SPOONS BACK 40' TO 50' DID THE BEST. BUT ONLY CAUGHT 6 OFF GULL SHOAL WITH REEF RUNNERS BACK 55' WITH 2 OZ. OF WEIGHT. MANAGED 3 WALLEYE, GOING TO CALL SUICDE PREVENTION FOR 1ST MATE MUSKRAT JACK, I AM WORRIED FOR HIM !!!! FISHED 3 HOURS AND ONLY CAPTURED 1- 28" WALLEYE. NO OTHER HITS.REEF RUNNER WITH 2OZ. OF WEIGHT BACK 75' CAUGHT OUR ONLY FISH, OUR SPEED WAS 1.3 KNOTS WHEN WE CAUGHT THE FISH. WE FISHED EAST OF GULL SHOAL. CAPTURED 4 NICE WALLEYE THAT WENT 26 LBS. USED REEF RUNNERS BACK 40' TO 55' WITH 2 OZ. OF WEIGHT.WATER REALLY NEEDS TO CLEAN UP TO GET THE BIG FISH GOING. THEY ARE GETTING A FEW WALLEYE JIGGIN, BUT NOT GREAT.FISHED ON THE NORTHEAST CORNER OF KELLEYS ISLAND. WE FISHED 1/2 DAY ON THE NORTH AND EAST SIDE OF KELLEYS ISLAND AND ONLY HAD 1 PULL DOWN, NO CLEAN WATER. USED REEF RUNNERS AT VARIOUS DEPTHS. 1ST MATE MUSKRAT JACK'S DANCE DIDN'T WORK, TOO MUDDY FOR FISH TO SEE. 1ST MATE MUSCRAT JACK WAS SCARED TODAY DUE TO HEAVY WINDS AND 10' WAVES, HAD TO SEND CREW HOME. WE WON'T GET TO FISH FOR A WHILE DUE TO WEATHER. WE JUST PICKED AWAY ALL DAY,NOTHING FAST OR FURIOUS BUT HAD NICE WALLEYE. 3 OVER 30" AND 3 SHORT OF OUR LIMIT. USED REEF RUNNERS BACK 50' TO 60' AND HUSKY JERK DEEP DIVERS BACK 25' TO 35'. WE FISHED NORTH WEST OF BIG PICKERAL REEF. ONLY CAPTURED 5 NICE WALLEYE WITH 1 AROUND 12 1/4 LBS. USED HUSKY JERK DEEP DIVERS 25' TO 45' BACK AND REEF RUNNERS 45' TO 65' BACK. HEARD LATER (OF COURSE) THAT THERE WAS A GOOD TROLLING BITE 2 MILES WEST NORTHWEST OF WHERE I FISHED, SOUTH EAST OF NIAGRA REEF. THE JIG BITE WAS OFF ALSO TODAY. LOTS OF 0 TO 6 FISH CAUGHT ON THE BOATS. TOMORROW SHOULD PICKUP UNLESS THE WIND GETS HERE FASTER THAN PRDICTED. WILL FISH NEXT THURSDAY NEXT. WILL BE STARTING BACK UP IN EARLY APRIL OF 2011. THANKS FOR ALL THE HELP OUT ON THE WATER BY ALL YOU ANGLERS. IT PAYS FOR US ALL TO WORK TOGETHER.IT PAYS OFF HELPING OTHERS TO GET ON THE FISH AND HAVE A GOOD DAY FISHING, SPREADING GOOD NEWS NOT BAD NEWS. HAVE A GREAT WINTER AND WE'LL SEE YOU IN THE SPRING. CAPTURED 16 WALLEYE THAT WENT 103 LBS. FOR A 6.44 LBS AVERAGE. FISHED NORTH NORTHWEST OF KELLEYS. USED REEF RUNNERS BACK 25' TO 40' WITH NO WEIGHTS. CAPTURED 18 WALLEYE THAT WEIGHED 100 LBS. FISHED NORTHWEST OF KELLEYS. USED REEF RUNNERS BACK 30' TO 40' NO WEIGHTS. HAD THREE CUSTOMERS AND CREW AND MANAGED TO CAPTURE 21 NICE WALLEYE AND IN BY NOON. USED REEF RUNNERS BACK 45' AND 100' AND BOTH DID WELL. WEATHER WAS WINDY AND COLD. 1ST MATE MUSCRAT JACK WAS GETTING SCARED SO WE CAME IN. CAPTURED 40 BIG WALLEYE NORTHWEST OF KELLEYS ISLAND. USED REEF RUNNERS BACK 50' AND 55' NO WEIGHTS. BEST COLORS FOR US WAS PEARL GHOST,NAKED PERCH,AND GREEN FLASH. CAPTURED 36 BIG WALLEYE NORTH OF KELLEYS ISLAND. USED REEF RUNNERS BACK 50' TO 60' ON 1 SIDE AND 110' TO 125' BACK ON THE OTHER SIDE NO WEIGHTS. CAPTURED 36 WALLEYE THAT WEIGHED 192 LBS. FISHED JUST EAST OF BALLAST ISLAND IN 32' OF WATER. USED REEF RUNNERS BACK 75' TO 125' WITH NO WEIGHTS. CAPTURED 31 WALLEYE THAT WEIGHED 174LBS. FISHED JUST NORTH OF KELLEYS ISLAND. USED REEF RUNNERS BACK 35' AND 45' WITH NO WEIGHTS. CAPTURED 12 NICE WALLEYE WEST OF GULL SHOAL. BEST LEADS WAS 35' BACK ON REEF RUNNERS. CAPTURED 7 WALLEYE TODAY. IF THEY WOULD TURN ON IT WOULD BE AWSOME. THE FISH ARE LOADED IN THE VERMILION AREA HEAVY. MAYBE IF THE WEATHER WOULD EVER STABILIZE WE COULD SLAM THEM. MANAGED TO CAPTURE 6 NICE WALLEYE BUT THE SPONSERS WANTED TO COME IN EARLY, THEY HAD ENOUGH FUN. USED REEF RUNNERS BACK 55' TO 85' AND NO WEIGHTS. CATCHING WAS SLOW BUT GREAT FISH. IF THE WALLEYE TURN ON IT WILL BE AWSOME WITH THE NUMBER OF BIG FISH IN THE AREA. FISHED BETWEEN VERMOLION AND HURON. WE USED REEF RUNNERS BACK 70' AND 80' WITH 2 OZ. OF WEIGHT. FISHED FOR BIG FISH AND WAS ABLE TO USE 8 RODS. WE MANAGED TO CAPTURE 13 NICE WALLEYE. WE TOOK 2ND PLACE IN TOURNAMENT. CONGRATULATIONS TO THE 1ST PLACE TEAM. CAPTURED 20 REAL NICE WALLEYE NORTHWEST OF VERMILION. USED REEF RUNNERS 75' TO 125' WITH 2OZ. OF WEIGHT. CAPTURED 22 NICE WALLEYE NORTH OF VERMILION. USED REEF RUNNERS BACK 75' TO 125' WITH 2 OZ. OF WEIGHT. JUST MANAGED TO CAPTURE 14 BIG WALLEYE TODAY NORTHWEST OF VERMILION. USED REEF RUNNERS BACK 100' TO 130' WITH 2 OZ. OF WEIGHT. CAPTURED 23 PIGS AGAIN. WIND CHANGED AND BROUGHT GRASS IN ON THE FISH. COULD NOT KEEP LURES CLEAN TO CATCH WALLEYE . WE HAD TO MOVE BACK EAST TO FISH THAT REALLY SLOWED US DOWN. USED REEF RUNNERS BACK 75' AND 105' WITH 2 OZ. OF WEIGHT. FISHED NORTHWEST OF HURON. CAPTURED 36 PIGS NORTHWEST OF HURON AND IN EARLY. USED REEF RUNNERS BACK 105' WITH 2 OZ. OF WEIGHT. FISHED FOR 3 1/2 HOURS AND WE HAD TO GO IN, BUT WE DID MANNAGE TO CAPTURE 16 REAL NICE WALLEYE NORTHEAST OF HURON. USED REEF RUNNERS BACK 100' WITH 2 OZ. WEIGHT. CAPTURED 36 BIG WALLEYE 6 MILES NORTHWEST OF VERMILION. USED REEF RUNNERS BACK 115' TO 130' WITH 2 OZ. OF WEIGHT. CAPTURED 33 REAL NICE WALLEYE NORTHWEST OF VERMILION. USED REEF RUNNERS BACK 100' TO 120' WITH 2 OZ. OF WEIGHT. REAL PIGS AGAIN. CAPTURED 42 WALLEYE 8 MILES NORTHWEST OF VERMILION. BIGGEST BOX OF FISH WE CAUGHT ALL SEASON. HAD QUITE A FEW FISH IN THE 8 TO 10 LB.RANGE. HAD A COUPLE 2LB. FISH, MAYBE 3 TO 4 IN THE 4LB. RANGE. THE REST WERE IN THE 6 TO 71/2 LB. RANGE. USED REEF RUNNERS BACK 90' TO 120' WITH 2 OZ. OF WEIGHT. CAUGHT 75 PERCH IN 5 1/2 HOURS OUT ON CANADIAN LINE OFF VERMILION. FISHED 1/2 DAY FOR WALLEYE TO NO AVAIL. PERCHED THE REST OF THE DAY AND CAPTURED 90 OUT ON THE CANADIAN LINE. FISHED 1/2 DAY FOR WALLEYE AND PERCH. WORST DAY OF THE YEAR. IN THE BOOK FOR THE 1ST TIME THIS YEAR, 0 FISH. WE CAPTURED OUR LIMIT OF PERCH BUT IT TOOK MOST OF THE DAY. THE FISH WERE A LITTLE ON THE SMALL SIDE TODAY (3.8 FISH PER LB.). FISHED ALL OVER ,BUT ENDED UP NORTHEAST OF VERMILION AGAIN FOR THE BEST BITE. CREW WAS SICK AND WE CAME IN EARLY WITH JUST 12 PERCH. THE ONES THAT STAYED OUT WORK FOR THEM BUT MOST REACHED THERE LIMITS OR CLOSE TO IT. FISHED NORTH OF VERMILION AGAIN IN BIG 3' TO 5' WAVES. CAPTURED 240 PERCH AND DONE EARLY. FISHED NORTHEAST OF VERMILION. 1ST TRIP WE CAPTURED 210 PERCH WITH 8 PERSONS INCLUDING CREW AND ON THE 2ND TRIP WE CAPTURED 150 PERCH WITH 6 PERSONS INCLUDING CREW. FISHED NORTHEAST OF VERMILION AGAIN. CAPTURED OUR LIMIT OF PERCH NORTH OF VEMILION EARLY TODAY. A LITTLE SMALLER PERCH TODAY BUT STILL 3.5 PERCH PER LBS. YESTERDAY WE HAD 2.8 PERCH PER LBS. IN THE SAME AREA. CAPTURED OUR LIMIT OF PERCH, MOSTLY 8 1/2" TO 10" AND UP TO 13". FISHED 8.6 NAUTICAL MILES NORTHEAST OF VERMILION. PERCH FISHING WAS AS GOOD AS IT GETS. FISHED 8.6 MILES NORTEAST OF VERMILION. BACK EARLY! FINALLY WENT FISHING AGAIN (weather). HOPE THE WALLEYE ARE GETTING READY TO GO,BUT FOR NOW WE ARE PERCH FISHING. WE LIMITED OUT JUST SOUTH OF STARVE ISLAND WITH REAL NICE PERCH TODAY. CAPTURED 240 NICE PERCH AND DONE EARLY. FISHED SOUTHEAST OF PERRY'S MONUMENT. TRIED WALLEYE FOR 4 HOURS AND NEVER MANAGED TO CATCH ONE , WE DID GET 1 ANN ARBOR WALLEYE (SHEEPHEAD),THATS WHAT MY CUSTOMERS CALLED IT BEING BUCKEYE FOOTBALL FANS, WE CAPTURED 210 PERCH IN THE AFTERNOON THOUGH. HAD TO WORK FOR THEM BUT CAPTURED 240 PERCH NORTWEST OF NORTH BASS, JUST SOUTH OF THE RED CAN. CAPTURED 17 NICE WALLEYE NORTHWEST OF WEST REEF (NORTH BASS). USED TRU TRIP DIVERS BACK 40' AND 45' WITH SCORPION SPOONS AND REEF RUNNERS WITH 2 OUNCES OF WEIGHT BACK 70' TO 75'. STARTED FAST THEN REALLY SLOWED DOWN. TOOK MOST OF THE DAY TO CATCH 240 PERCH. FISHED SOUTHEAST OF PERRY'S MONUMENT. FISHED 1/2 DAY WALLEYE IN MORNING AND ONLY MANAGED TO CAPTURE 2 FISH. BOTH CAME ON DIPSY DIVERS WITH SPOONS. FISHED SOUTHEAST OF KELLEYS EAST PAST HURON. DIDN'T HEAR OF ANYTHING BETTER ANY WHERE. CAPTURED 240 PERCH IN 3 1/2 HOURS EAST OF PERRY'S MONUMENT IN THE LATE AFTERNOON. PERCH FISHING WAS A LITTLE SLOW EARLY IN THE DAY THEN TURNED ON IN THE LATE AFTERNOON. MIDDLE BASS EAST OF LUCY'S POINT, EAST OF PERRY'S MONUMENT AND SOUTH OF KELLEYS WAS THE BEST. WE MANAGED TO GET 1/2 OUR LIMIT THEN ON TO PUT-IN-BAY FOR THE DAY. ONLY CAPTURED 100 PERCH FOR THE DAY. THINK WE THREW TOO MANY 7 1/2" FISH BACK EARLY ON BEFORE WE WISED UP. THE BEST LOCATION FOR US WAS SOUTH OF KELLEYS ISLAND. FISHED HARD ALL DAY AND BOXED 19 WALLEYE FOR OUR EFFORTS. USED REEF RUNNERS BACK 60' WITH 2 OZ. WEIGHT. FISHED NORTEAST OF KELLEYS ISLAND. CAPTURED 240 PERCH JUST EAST OF LUCY'S OFF OF MIDDLE BASS. WALLEYE STILL DOING WELL NORTHEAST OF KELLEYS ISLAND. CAPTURED 35 NICE WALLEYE NORTEAST OF KELLEYS ISLAND. USED REEF RUNNERS BACK 60' TO 90' WITH 2 OZ. OF WEIGHT. GOOD COLORS WERE MOONEYE MINNOW, WHITE PERCH, CAT DOG AND PEARL GHOST. FOUND 36 WALLEYE NORTHEAST OF KELLEYS ISLAND. USED REEF RUNNERS BACK 60' TO 90' WITH 2 OZ. OF WEIGHT. HAD TO KEEP SPEED UP ARUND 2.1 KNOTS. FISHED NORTEAST OF KELLEYS ISLAND AND MANAGED TO STAY OUT OF THE GRASS, STILL PLENTY OF SHEEPHEAD THOUGH. USED REEF RUNNERS BACK 80' TO 100'WITH 2OZ. OF WEIGHT. MANAGED TO CAPTURE 17 WALLEYE TODAY. THE GRASS WAS TERRIBLE AND THE SHEEPHEAD ALSO. FISHED NORTEAST OF KELLEYS ISLAND. USED TRU - TRIP DIVERS BACK 50' WITH RIPSTICKS. CAPTAINS BRINGING IN BIG CATCHES EAST OF GULL SHOAL. HOPE TO BE BACK ON WATER BY FRIDAY. ENGINE BLOWN AND PROBABLY DOWN FOR 6 OR 7 DAYS. WILL KNOW MORE ON MONDAY. SOME OF THE OTHER CAPTAINS ARE STILL FISHING NORTHEAST OF KELLEYS BUT THE CATCHING HAS SLOWED DOWN TO AROUND 18 WALLEYE A DAY. I HAVE BEEN GETTING SOME REPORTS THAT THE WALLEYE WERE BETWEEN NORTHWEST REEF AND RATTLESNAKE ISLAND AND ALSO BETWEEN NIAGRA REEF AND C-CAN. MISSED EARLY BITE TODAY AND HAD A SLOW PICK ALL DAY. THANKFULLY WE HAD ONLY 4 PERSONS AND ENDED UP WITH 21 WALLEYE. FISHED NORTEAST OF KELLYS. USED TRU P TRIP DIVERS BACK 45' AND 50' WITH SCORPION SPOONS. CAPTURED OUR LIMIT NORTHEAST OF KELLEYS. REAL NICE GRADE OF WALLEYE. USED THE TRU - TRIP DIVERS BACK 55' TO 65' WITH SCORPION SPOONS. FISHED NORTHEAST OF KELLEYS ISLAND AGAIN AND CAPTURED 36 NICE WALLEYE. USED TRU - TRIP 50' DIVERS BACK 55' TO 65' WITH SCORPION SPOONS. FISHED NORTEAST OF KELLEYS ISLAND ALONG THE CANADIAN LINE AND CAPTURED 36 REAL NICE WALLEYE. USED TRU - TRIP DIVERS BACK 45' AND 60' WITH SCORPION SPOONS. CAPTURED OUR LIMIT, BUT ONLY HAD 2 PERSONS. THEY WERE NICE FISH. FISHED EAST OF GULL SHOAL. USED THE TRU - TRIP DIVERS BACK 35' AND 45' WITH SCORPION SPOONS. CAPTURED 38 NICE WALLEYE NORTHWEST OF VERMILLION TODAY. USED 50' TRU - TRIP DIVERS BACK 40' TO 50' WITH SCORPION SPOONS. CAPTURED 30 NICE WALLEYE NORTHEAST OF KELLEYS ISLAND. STARTED STRONG BUT REALLY SLOWED DOWN. FISH SEEMED TO BE MOVING AND BREAKING UP. USED 50' TRU - TRIP DIVERS BACK 40' TO 55' WITH SCORPION SPOONS. CAPTURED OUR LIMIT NORTEAST OF KELLEYS ISLAND AGAIN. USED TRU - TRIP DIVERS BACK 50' TO 60' WITH SCORPION SPOONS. CAPTURED OUR LIMIT OF NICE FISH AND BACK EARLY NORTHEAST OF KELLEYS ISLAND. USED THE 50' TRUP-TRIP JET DIVERS BACK 50' TO 60' WITH SCORPION SPOONS. CAPTURED OUR LIMIT (37 WALLEYE) NORTHEAST OF KELLEYS ISLAND. SMOKED THEM ON TRU-TRIP 50' JET DIVERS AND SCORPION SPOONS 50' TO 60' LEADS. WAS BACK AT THE DOCK BY 12:00 PM. CAPTURED 38 WALLEYE NORTHEAST OF KELLYS ISLAND ( THANKS BOAT NUT ). USED ALL TRU-TRIP 50' JETS BACK 40' AND 55' WITH SCORPION SPOONS. HAD 2 TRIPS TODAY. WE MANAGED TO LIMIT OUT WITH 37 WALLEYE ON THE 1ST TRIP BY NOON AND STRUGGLED ON OUR 4 HOUR AFTERNOON TRIP WITH 16 KEEPERS AND AROUND 22 THROW BACKS. WE FISHED WEST OF RATTLESNAKE. WE USED TRU-TRIP 50' JETS BACK 35' AND 40' JETS BACK 60' AND 70' WITH SCORPION SPOONS. TOOK 10 GIRLS OUT ON A CASTING TOUNNAMENT AND WE MANAGE TO QUALIFY AND GET SOME MONEY (VERY LITTLE). WE HAD A GREAT FUN TIME. HAD 2 CUSTOMERS AND CREW. CAPTURED 22 WALLEYE WEST OF RATTLESNAKE ISLAND USING TRU-TRIP 50' JETS BACK 30' AND 35' AND 40' JETS BACK 50' AND 60' WITH SCORPION SPOONS. HAD A 2 BOAT CASTING COMBO. WE MANAGE TO CAPTURE 50 WALLEYE AND 175 SMALL PERCH CASTING TODAY NORTHWEST OF RATTLESNAKE. NEXT TRIP WILL BE ON 7-10-2010 AND THE FISHING REPORTS WILL CONTINUE. PUT-IN-BAY FOR THE NEXT WEEK. CAPTURED 37 WALLEYE AND CAME IN EARLY EAST OF KELLEYS ISLAND. THE TRU-TRIP 50' JETS WERE HOT AT 55' BACK AND 40' JETS DID WELL AT 50' BACK WITH SCORPION SPOONS. CAPTURED 32 WALLEYE EAST OF KELLEYS ISLAND BEFORE THE STORMS SCARED 1ST MATE MUSKRAT JACK. WE HAD TO SUBDUE HIM FOR A WHILE TILL HE CALMED DOWN A BIT. USED 50' TRU-TRIP JETS BACK 55' AND 40' JETS BACK 50' WITH SCORPION SPOONS. WE LIMITED OUT ON OUR 1ST TRIP AN CAPTURED 24 WALLEYE ON OUR 2ND TRIP SOUTHEAST OF KELLEYS, USED TRU-TRIP 50' JETS BACK 25' AND 40' JETS BACK 25' AND 50' WITH SCORPION SPOONS. WE CAPTURED 24 WALLEYE ON OUR 1ST TRIP NORTHEAST OF KELLEYS. ON OUR 2ND TRIP WE CAUGHT 37 WALLEYE EAST SOUTHEAST OF KELLEYS. USED TRU-TRIP 50' JETS BACK 45' AND 40' JETS BACK 50' WITH SCORPION SPOONS. HAD A 2 BOAT 4 HR TRIP AND WE CAPTURED 35 WALLEYE AND 1 STEELHEAD NORTHEAST OF KELLEYS ISLAND. THE TRU-TRIP 50' JETS CAUGHT SOME REAL NICE FISH BACK 35' AND THE 40' JETS BACK 65' WITH SCORPION SPOON. CAPTURERD 38 NICE WALLEYE NORTH EAST OF CEDAR POINT. USED TRU-TRIP 50' JETS BACK 35' AND 40' AND 40' JETS BASCK 30' TO 45' WITH SCORPION SPOONS. SHEEP HEAD WORKED US OVER REAL GOOD ALSO. WE CAPTURED OUR LIMIT NORTHEAST OF KELLEYS ISLAND, 32 WALLEYE (5 CUSTOMERS). USED TRU-TRIP 50' JETS BACK 35' AND 40' AND 40' JETS BACK 65' WITH SCORPION SPOONS. CAPTURED 38 REAL NICE FISH EAST OF KELLEYS ISLAND. USED TRU-TRIP 50' JETS BACK 35' AND 40' JETS BACK 40' TO 50' WITH SCORPION SPOONS. CAPTURED 36 WALLEYE AND HOME EARLY EAST OF KELLEYS ISLAND. WE CAUGHT OUR BIG FISH ON THE TRU-TRIP 50' JETS BACK 40' AND 45'. WE ALSO USED 40' JETS BACK 50' AND 55' AND ON BOTH WE USED SCORPION SPOONS. CAPTURED 37 WALLEYE EAST OF KELLEYS ISLAND ON TRU-TRIP 50' JETS BACK 25' AND 30' AND 40' JETS BACK 50'AND 55' WITH SCORPION SPOONS. CAPTURED 37 WALLEYE AND BACK EARLY. EAST OF KELLEYS ISLAND ALONG THE BORDER. USED TRU-TRIP 50' JETS BACK 45' AND 40' JETS BACK 45' WITH SCORPION SPOONS. RAN 2 TRIPS TODAY, CAPTURED 37 WALLEYE ON EACH TRIP. FISHED GULL SHOAL IN THE MORNING THEN MOVED ABOUT 6 MILES EAST ALONG THE CANADIAN BORDER TO FINSH THE FIRST TRIP AND THE 2ND TRIP ALSO. USED TRU-TRIP 5O' JETS 35' TO 45' AND 40' JETS BACK 55' WITH MICHIGAN STINGER SCORPION SPOONS. PICKED OUR GROUP UP AT PUT-IN-BAY AND FISHED WEST OF GULL SHOAL. CAPTURED OUR LIMIT AND HAD THEM BACK EARLY FOR MORE PARTY TIME AT THE BAY. USED TRU-TRIP 50' JET DIVERS BACK 50' AND 40' JETS BACK 55' WITH SCORPION SPOONS. CAPTURED 39 WALLEYE AND HOME EARLY. FISHED EAST NORTH EAST OF THE CEDAR POINT DUMPING GROUNDS. USED 40' JETS BACK 55' AND 60' WITH SCORPION SPOONS. ONLY COLORS I AM RUNNING ARE POOH BEAR PURPLE, POOH BEAR CHARTRUESE AND YEAGER BOMB. CAPTURED 45 WALLEYE THAT WEIGHED 192 LBS. SOUTHEAST OF KELLEYS ISLAND ON 40' JETS BACK 50' WITH SCORPION SPOONS. WE WERE ABLE TO TAKE 1ST PLACE IN THE MS TOURNAMENT OUT OF MIDWAY. CAPTURED 38 WALLEYE ON TRUP-TRIP 50'JETS BACK 25' AND 40' JETS BACK 45' AND 50' WITH SCORPION SPOONS. CAPTURED 36 WALLEYE THAT WENT 164 LBS. ON TRU-TRIP 50' JETS BACK 25'TO 40' AND 40' JETS BACK 25' AND 35' WITH SCORPION SPOONS. WASN'T GOING TO GO FISHING WITH THE WEATHER WE HAD BUT THE CUSTOMERS TOOK MUSKRAT JACK HOSTAGE IN A CAR TRUNK UNTIL I TOOK THEM OUT FISHING. I WAITED TILL 1:OO PM. BEFORE I GAVE IN. WE WERE BACK AT THE DOCK AT 5:30 PM WITH 48 FISH THAT WEIGHED 196 LBS. USED TRU-TRIP 50 JETS BACK 35' AND 45' AND 40' JETS BACK 25' AND 35' WITH SCORPION SPOONS. I KNOW BETTER BUT I DID IT. I RAN ALL OVER THE LAKE. ENDED UP WEST OF GULL SHOAL. WE CAPTURED 25 WALLEYE WITH ONE GOING 31 1/2" AND 10 LBS. RAN TRU-TRIP 50 DIVERS BACK 25'TO 35' AND 40' JETS BACK 30' TO 60' WITH SCORPION SPOONS. A FEW BOATS DID REALLY WELL EAST OF MIDDLE ISLAND ALONG THE LINE. CAPTURED 35 WALLEYE ON THE 1ST TRIP FOR OUR 5 MAN CHARTER PLUS SOME FOR THE CREW AND 26 WALLEYE ON OUR 4 MAN AND CREW AFTERNOON TRIP. FISHED EAST OF SOUTH BASS EARLY AND WEST OF GULL SHOAL IN THE AFTERNOON. USED 40 JETS BACK 20' AND 30' WITH SCORPION SPOONS ON BOTH TRIPS. CAPTURED OUR LIMIT BETWEEN SHORT REEF AND AMERICAN EAGLE SHOAL. HAD 37 REAL NICE WALLEYE ON 40' JETS BACK 30' AND 35' WITH SCORPION SPOONS. CAPTURED 27 WALLEYE BY 10:00 AM THEN 1ST MATE MUSKRAT JACK GOT SCARED BECAUSE A LITTLE STORM WAS COMMING AT US. FISHED 2 MILES NORTH OF LAKESIDE WITH 40' JETS BACK 35' WITH SCORPION SPOONS. CAPTURED 37 NICE WALLEYE WEST OF GULL SHOAL USING 40' JETS BACK 45' WITH SCORPION SPOONS. LIMITED OUT BUT TOOK A WHILE. USED TRU-TRIP 50' JETS BACK 15' WITH SCORPION SPOONS NORTH OF NIAGRA REEF. 1ST TRIP WE LIMITED OUT NORTH OF GULL SHOAL USING 40' JETS BACK 25' AND 30' WITH SCORPION SPOONS. THE 2ND TRIP WE LIMITED OUT WEST OF GULL SHOAL USING THE NEW TRU-TRIP 50' JET DIVERS BACK 20' AND 25' WITH SCORPION SPOONS. MY BEST COLOR HAS BEEN POOH BEAR CHARTRUESE FOR 3 OR 4 DAYS NOW. WOW !!! !ON THE WORLD CLASS SHEEPHEAD AND WHITE BASS THAT ARE IN THE AREA ALSO. CAPTURED OUR LIMIT SOUTH OF SOUTH BASS ISLAND ON THE NEW TRU-TRIP 50' JETS BACK 15' TO 20' WITH SCORPION SPOONS. DIRTY WATER STARTING TO CLEAN UP FINALLY. LIMITED OUT EARLY TODAY EAST OF MIDDLE BASS ISLAND. USED THE NEW TRU-TRIP 50' JET DIVERS BACK 20' TO 30' WITH MICHIGAN STINGER SCORPION SPOONS. BEST COLOR WAS POOH BEAR CHARTRUESE. CAPTURED 20 WALLEYE IN THE NIAGRA REEF AREA ON 50' TRU-TRIP JETS WITH SCORPION SPOONS. ONLY HAD 3 PEOPLE TODAY(THANK GOODNESS) AND CAPTURED 14 WALLEYE SOUTH OF SOUTH BASS ISLAND ON TRU-TRIP 50' JET DIVERS BACK 20' TO 35' AND SCORPION SPOONS. CAPTURED OUR LIMIT SOUTH OF STARVE ISLAND ON OUR 1ST TRIP AND 1/2 THE LIMIT ON THE 2ND TRIP ON TRU-TRIP 50' JET DIVERS BACK 20' TO 30' AND SCORPION SPOONS. RAN 2 TRIPS TODAY. THE 1ST TRIP OFF KELLEYS SHOAL NETTED 13 WALLEYE AND THE AFTERNOON TRIP OFF THE SOUTHEAST CORNER OF KELLEYS ENDED UP WITH 15 VERY NICE WALLEYE USING 5O TRU-TRIP JET DIVERS BACK 35' TO 45' WITH SCORPION SPOONS. 1ST TRIP WE ENDED UP WITH 16 FISH THAT WENT 58LBS. THE 2ND TRIP WE ONLY CAPTURED 2 WALLEYE IN A HURRICANE. I THINK ONE MORE DAY OF THAT AND I WAS GOING TO QUIT AND FIND A OFFICE JOB. 1ST MATE MUSKRAT JACK WAS SCARED ALL DAY AND HAD TO BE SUBDUED SEVERAL TIMES, FISHED WEST OF SOUTH BASS BOTH TRIPS. STARTED GREAT THEN A SLOW PICK THE REST OF THE DAY. THE BIG FISH WAS 30" LONG. WE ENDED WITH 22 NICE WALLEYE ON 50' JETS BACK 25' TO 45' WITH SCORPION SPOONS SOUTH OF KELLEYS. HAD 2 TRIPS TODAY AND CAPTURED 21 NICE WALLEYE ON EACH TRIP SOUTH OF KELLEYS ISLAND. USED 50' JETS BACK 35' TO 45' AND SCORPION SPOONS. BIGGEST WALLEYE WAS 10LBS. AND 30 1/2" LONG ON EACH TRIP. MANAGED TO CAPTURE 18 WALLEYE TODAY OFF OF NIAGRA REEF AREA USING 50' JETS BACK 20' TO 35' WITH SCORPION SPOONS. STARTED OFF OF KELLEYS ISLAND AREA AND HAD TOO MUCH MUDDY WATER. HEARD OF A BITE OFF NIAGRA, BUT MISSED THE MAIN ACTION. JUST HAD A SLOW PICK THE REST OF THE DAY. WIND, RAIN, LIGHTNING HOW MUCH MORE WEATHER!!!! HAD A 2 BOAT 1/2 DAY CHARTER IN A SERIES OF STORMS IN THE MORNING. WE CAPTURED 2 WALLEYE ON THE OTHER BOAT AND 5 ON MY BOAT ONLY BECAUSE OF 1ST MATE JACK'S "FAT MUSKRAT DANCE" AND THE "WALLEYE DANCE" THAT HE PERFORMED. FISHED GULL SCHOAL AREA. CAPTURED 7 WALLEYE TODAY IN THE MUDDY WATER OFF KELLEYS ISLAND. USED 50' JETS WITH SCORPION SPOONS BACK 25' TO 45'.HOPE THE WATER CLEANS UP SOME BY TOMORROW. 1ST TRIP WE LIMMITED OUT AND WAS BACK AROUND 11:30AM. CAPTURED 36 WALLEYE ON 50' JETS BACK 30' TO 40' WITH SCORPION SPOONS SOUTH OF SOUTH BASS ISLAND. THE 2ND TRIP WE WAS ONLY ABLE TO CAPTURE 5 WALLEYE IN ABOUT 2 1/2 HOURS BEFORE THE WEATHER WENT TO CRAP. fISHED EAST RATTLESNAKE ISLAND. PROBABLY WON'T GET OUT TILL MONDAY WITH THE WEATHER COMMING IN. STARTED IN 3' TO 5' WAVES AND BY 1:30PM IT WAS AROUND 2' WAVES. CAPTURED OUR LIMIT (36) ON 50' JETS BACK 30' AND 40' LEADS WITH SCORPION SPOONS. FISHED SOUTH OF RATTLESNAKE ISLAND. CAPTURED 36 WALLEYE THAT WEIGHED 170LBS. USED 50'JETS BACK 30' AND 40' WITH MICHIGAN STINGER SCORPION SPOONS. FISHED SOUTHEAST OF RATTLESNKE ISLAND. FISHING STARTED WITH A BANG, 20 WALLEYE BY 11:00AM THEN SOMEONE TURNED THE SWITCH OFF. ENDED UP WITH 31 FISH THAT WENT 141LBS AT 3:30PM. FISHED NORTHWEST OF KELLYS ISLAND USING 50' JETS BACK 25' TO 45'. HAD A HARD TIME FINDING FISH TODAY,BUT ONLY HAD 2 ANGLERS SO WE DID MANNAGE TO LIMIT OUT, USED 50' JETS BACK 25' AND 30' EARLY THEN DROPPED BACK TO 40' LEADS AS THE WALLEYE WENT DEEPER.USED MICHIGAN STINGER SCORPION SPOONS. FISHED SOUTH OF SOUTH BASS ISLAND. 2 FISH SHORT OF OUR LIMIT, BUT TOOK ALL DAY TO DO IT. CAPTURED 28 WALLEYE ON 50' JETS BACK 30' WITH SCORPION SPOONS. WE FISHED SOUTHWEST OF GREEN ISLAND. Fishing was good early then slowed down around 1:00pm. We finished with 32 nice walleye with the biggest over 30"south of South Bass Island. We used 50' jets back 30' and 40' with scorpion spoons. Captured 21 walleye north of Kellys Island on 50' jets back 30' and 40' and scorpion spoons. 1.5 to 1.7 knots was the speed. Went to Rattlesnake on my 2nd trip on another anglers boat that we set up to fish. Captured 8 walleye and lost 2 or 3 more in about 2 1/2 hours of fishing time. We fished north of Middle Bass Island and captured 19 big walleye on Mann's stretch 20's back 120' and 140' early then in the afternoon went to 50 jets back 30' and 40' with scorpion spoons.Best speed was 1.5 to 1.7 knots. We only caught 9 walleye when 1st mate Jack (Muskrat Jack) got scared. We Had to come home before he had a stroke. Bad weather next few days, Probably will get real muddy for a few days,messing up the fishing till it clears up. Captured 24 real nice walleye weighing 133 lbs. The biggest was 32 1/4" long and a little over 11 lbs. Used Mann's stretch 20's back 85' early then dropping back 100' to 125' later in the day. Fished nortwest of North Bass Island. Captured 18 walleye northwest of Kellys Island on Reef Runners back 65' that weighed 99 lbs. Captured 19 nice walleye today west of Kellys Island on Mann's stretch 20s back 40' to 60'. We dropped 4 more at the net and another 6 to 7 fish came off after hook ups. It suprised me in how muddy the water was and everybody seemed to be catching fish in it. Picked up speed to 1.5-1.6 knots, which was my best speed. I think those big females are still recovering from the spawn. They should be getting ready to put the feed bag on soon. We are catching a few but not like we were 10 days ago. We managed to capture 7 walleye today with the big one around 30". Probably won't fish for a couple days due to the weather now. Had great weather and good lake conditions but the catching was a little slow for us trophy hunters, We moved 4 times and caught only 6 fish. We had 3 fish Ohios, the biggest was 31 1/2" and 10 1/2lbs. The jig bite has been very good all season so far for the meat hunters. Averaged 6.2lbs. today with the big fish coming in at 11.8 lbs. We used the Husky jerk deep divers again back 30' and 40'. Water was stained pretty good but found one area and worked it over good for another limit of big fish. 4 of us fished north of Cone Reef today and limited out using Husky Jerk deep divers 40' back. We had a 5.33 lb. average. 5 of us went fishing today down west in Maumie Bay and caught all our fish jigging using purple hair jigs. The fish we caught were 18" to 20" average. Ready to start fishing for the season, just waiting on sponsors that want to catch some big fish this spring. As of now, April 10th will be the first official charter date. Had our last day of fishing this season just west of Kellys and only caught 4 walleye. Plenty of fish but they were in muddy water and didn't want to bite. Probably should have went to B can area where they did well early in the week. I'll start next seasons fishing report around mid April 2010. Captured 6 walleye again today west of Kelleys using 50'jets and ripsticks. Heard the fish started to turn on later in the day. I found out Monday there was a good bite going on around B can. Will check it out later this comming week. Captured 6 real nice walleye but very slow due to muddy water conditions. Fished west of Kelleys Island using 50' jets pulling ripsticks. Captured 29 big walleye today. Fished north northwest of Vermilion about 6 to 7 nautical miles. Used 50' jets back 40' to 50' pulling Rip Sticks. What a great time for big trophy fish. Captured 35 big walleye. Ran over them on the way out. Had 3 fish at 11:30 am. Moved south back into the stained water and caught our fish. Was around 7 nautical miles north northwest of Vermilion. Used 50' jets back 45' to 60' pulling ripsticks. Texas Red was a good color. Had a great day of fishing. Captured 30 walleye with the largest being 31" and 12 lbs. Fished north northwest of Vermilion about 9.5 nautical miles. Used 50' jets back 55' and 60' pulling Ripsticks. Fished walleye central get together tournament and as usual we had bad weather.We hooked up only 8 fish and managed to land just 6 walleye. We ended up taking 2nd place in the tournament that we were the defending winners from last year. Congratulations to this years winners that were 2nd place last year. Good consistency. It was slow most of the day then about 2:00 pm. the walleye started to turn on.The boats that worked later on ended with 25-30 big walleye. Reef runners 120' to 150'back did well and Reef Runners 70' back with 3 ounces in-line weight did well also. Fished north northwest of Vermilion. Now another weather front moves in for the walleye central get together out of Huron. Captured only 10 walleye but very nice fish. We fished northwest of Vermilion. Used 50'jets back 40' and 50' with Ripsticks. Water is still very muddy. We need a break and another weather front is moving in on us. Captured 37 nice walleye north of Huron. Used 50' jets back 60' and 65' with scorpion spoons. Captured 36 big fish today north of Huron. Used 50' jets back 60' and 65' with scorpion spoons. Had a slow hard day, we lost 12 to 15 fish comming in but still ended up with 24 nice fish. Used 50' jets with scorpion spoons. Fished nortwest of Huron. Really slow after blow but had good walleye marks still norhwest of Huron. Most boats caught between 5 to 18 walleye all day. Used 50' jets back 75' to 85' with scorpion spoons. Captured 27 big walleye northwest of Huron on 50' jets back 75' and 80' with scorpion spoons. Bad weather comming in tonorrow with high winds. Finally have a nice weather day and all the walleye we marked yesterday are starting to turn on in the morning then slowed down in the afternoon. Captured 41 walleye on 50' jets back 80' with scorpion spoons. Fished northwest of Huron. We marked plenty of fish but only caught 13 walleye all day north west of Huron on 50' jets with scorpion spoons. Captured 28 walleye but we worked for them. Used 50' jets with scorpion spoons. We fished norhwest of Vermilion. Captured 16 walleye between Huron and vermilion. Used 50' jets back 75 to 85' with scorpion spoons. I didn't even feel good with 5' to 7' rollers with a big one once in a while. 1st mate Jack had to be restrained most of the day. We won't fish till next weekend now with the weather thats comming in. Moving everybody back till it clears up. Ran out 15 miles and crew said enough. 1 st mate jack was scared so we came home with 1 fish. Captured 23 walleye today. I Believe the fish moved father west. Used 50' jets with scorpion spoons. We caught 240 perch today on crappie riggs tipped with emerald shiners. Captured our fish north of vermilion. Used 50' jets with scorpion spoons. Captured 32 walleye north of vermilion. Used 50' jets with scorpion spoons. Captured 40 walleye north of vermilion. Used 50'jets back 30' to 45' with scorpion spoons. Had 2 trips the and 2nd boat had 31 walleye running 50' jets back 35' to 55' with scorpion spoons. Less than 3 hours dock to dock and captured 30 walleye north of Vermilion. Used 50' jets back 25' to 35' with scorpion spoons. Spoon colors were pooh bear purple and pooh bear chartruese. Captured 44 walleye today north of Vermilion about 8 natical miles. Used 50' jets back 30' and 40' with scorpion spoons. Perch fishing was a little slow today but still ended up with 170 perch for 6 people east of Vermilion. Captured 34 walleye today northeast of Vermilion. Used 50' jets 35'and 45' back with scorpion spoons. We moved to Vermilion and ran our 1st trip today. We captured 37 walleye just north of Vermilion and west of the sandbar. Seemed to be quite a few fish in the 22" to 26" range. Used 50' jets back 35' to 55' with scorpion spoons. Captured 200 perch today in the 7" to 8" range just north of Ceder Point in 41' of water. Tried casting for walleye for a couple of hours but did not capture any on american eagle, southeast corner of Kelleys, starve Island, mouse island shoal and short reef. Captured only 6 walleye today. Told 1st mate Jack he really sucked today and tomorrow he better shape up. Fished northeast of Kelleys and west of Middle Island and on American Eagle with out much luck. Where did they go? Possibly north into Canada or way east? Found massive amounts of grass everywhere though to foul our lines and hooks. Captured 31 nice walleye that went 119 lbs. Fished norteast of Kelleys Island in 3' to 5' waves useing 50' jets back 55' with scorpion spoons. Captured 10 walleye and our sponsers decided they had enough fun for the day in 4' to 6' seas. Ist mate Jack was scared so we came in early. Used 50' jets back 70' and 85' with scorpion spoons. Fished northeast of Kelleys Island. The walleye seemed to have moved somewhere else as we didn't see as many marks as yesterday. Captured our limit and averaged just over 3# per fish. Fished northeast of Kelleys Island. Used 50' jets back 75' and 85' with scorpion spoons. Colors were pooh bear purple and pooh bear chartruese. Had a half day trip today and ended up with 20 walleye. Couldn't find the fish where they were yesterday. Spent 2 hours till we found them closer to west reef. Used 50' jets back 30' and 40' with scorpion spoons. Captured our limit today northwest of northbass Island. Used 50' jets back 35'and 45' with scorpion spoons. Had heavy rains then the wind picked up again. We had one of our bad days of the year. We ended up with 15 walleye using 50' jets back 70' and 85' with scorpion spoons. 1st mate Jack was scared again and we had to come home very early. We had 4' to 6' waves and the wind was getting worse. We ended up with 8 walleye. Same crew tomorrow. Captured our limit northeast of Kelleys again, but bigger fish. Used 50'jets back 65' and 70' with scorpion spoons. Captured our limit northeast of kellys again today, but slowed down later in the morning. I think they moved a bit and we got off of them. Used 50' jets back 60' and 70' with scorpion spoons. We limited on our 1st trip just east of Niagra reef with nice eaters. We used 50' jets back 30' and 35' with scorpion spoons. On the 2nd trip we limited with real nice fish northeast of Kellys Island using 50' jets back 65' and 70' with scorpion spoons. The only colors I have been usuing are pooh bear purple and pooh bear chartruese. Captured our limit of walleye just north of Niagra reef today. The fish were a little smaller again but still great eaters. Used 50' jets back 25' and 30' with scorpion spoons. Starting to see much more grass in the water making it hard to troll without clogging the tackle. Still great fishing northwest of west reef. Captured our limit of walleye with 50' jets back 30' and 40' with scorpion spoons. Ran 2 trips today and captured our limits just about as fast as we could set rods. Fished west of west reef with 50' jets back 30' and 40' with scorpion spoons. Colors were pooh bear purple and pooh bear chartruese. Captured 40 walleye on our 1st trip and we had a 2 boat trip on our afternoon trip which captured 32 and 30 walleye. Both trips were northwest of rattlesnake Island, We used 50' jets back 30' and 35' with csorpion spoons. Captured our limit west of Green Island again today using 50' jets back 30' and 40' with scorpion spoons. Will be off a few days to go to new york fishing. Captured our limit early today just west of Green Island. Used 50' jets with releases back 25' and 35' ( 15' to 21' deep in 32' of water) with scorpion spoons. Colors were pooh bear purple and pooh bear chartruese. They wanted a lot of speed, up to 2.5 knots (really fast). Captured our limit west and northwest of green Island almost to rattlesnake and west. Used 50' jets back 25' and 35' with scorpion spoons. Water was clean with no grass today. Will be off till friday. Ran 2 trips today and limited on both. Fished nortwest of northbass Island using 50' jets back 35' and 45' with scorpion spoons. Captured our limit of walleye northwest of northbass Island again today. Used 50' jets back 24' and 35' early then finished up 40' and 45' around 12:45 pm. Michigan scorpion spoons in pooh bear purple and pooh bear chartruese were colors of chice. Captured our limit of walleye norhwest of north bass, close to the canadian line. Used 50' jets back 25' and 35' with scorpion spoons. 2nd trip we perch fished and it was slow east of kelleys island. Had 2 trips today and limited both trips. Had to sort through a lot of walleye in that 14 1/4" to 15" range but ended up with a nice bunch of eaters. We fished off Niagra reef with 50' jets back 25' and 30' with scorpion spoons. Captured our limits today for a 2 boat trip west of rattlesnake Island. Used 50' jets back 35' with scorpion spoons. Second boat used reef runners back 100' and 40' jets back 80'. Captured 37 walleye today northwest of north bass Island. Just small good eaters.Think I'll have to get some for myself. Used 50' jets with releases back 30' and 35'. Michigan scorpion spoons mostly in pooh bear purple and pooh bear chartruese colors. Captured 43 walleye again today using 50' jets back 35'and 40' with scorpion spoons. We trolled from northwest of green island north almost to the border and caught walleye all the way. Captured 43 fish mostly from 15"to 17"and a few up to 22". Used 50' jets back 35' and 40' with scorpion spoons. Fished west of rattlesnake island. Captured 42 walleye on 50' jets with releases back 35' and 40' with scorpion spoons. The colors used were pooh bear purple, pooh bear chartruese,and yeagerbomb. We fished west of rattlesnake island. Fished northeast of kelleys and captured 27 nice walleye. Used 50' jets back 45' and 65' with scorpion spoons. Won't fish till the 11th of july now. Going to the islands for vacation. Captured 2 walleye northeast of Kelleys,but 1st mate Jack got scared so we came home by 9:30am. Chased radio fish all day and got off my game, only caught 17 nice walleye northeast of Kelleys on 50' jets back 35' and 55' and scorpion spoons.1st mat jack starting to control himself after the storm. Captured 18 fish northwest of west reef on 50 jets. Very slow day. 1st mate jack still mumbeling something about never going out on the water again after yesterdays storm. Captured some nice fish, 32" 13# for one but only 1/2 our limit on the first trip north of vermillion towards lorain. Used 50 jets with scorpion spoons. The 2nd trip we got caught in a nasty storm with 70-80 mph winds and came home with about 4 hours of tackle clean up and a lost planer board. we were lucky! 1st mate Jack will never be the same. Had two trips today and we limited both trips. We fished about 10 miles north of Vermillion. The walleye averaged around 4#,with one 31 1/2" and 13#. Used 50, jets back 65' and 70' on the first trip and 70' and 80'back on the 2nd trip. Used all michigan scorpion spoons. Captured 42 walleye that went 166# north of vermillion, about 19 nautical miles from my dock. Used 50' jets back 65'. Pooh Bear chartruese has been a very strong color the last couple of days. Captured our limit today that went 195# of walleye. Had to go way to far east, north off vermillion. Used 50' jets back 50' and 65' with scorpion spoons. Had two trips today and they were too far from home , about 14 nautical miles. Nice fish, had couple of fish ohio's. 1st trip we came in early for fathers day dinner, limited on 2nd trip. Used 50' jets back 75' and 85' with csorpion spoons. Had a couple of days customers cancelled and first mate jack got scared because of lightning and hail on friday. Fished two trips today. Captured 34 walleye on the 1st trip and 18 on the 2nd trip with 4 people. Fished northeast of kellys close to old C can. Used 50'jets back 60' and 75' with scorpion spoons. Costomers cancelled next 2 days, so no fishing. Heard tell fishing was very slow on the american side today. On the canadian side around the wheel did well though. Captured 18 walleye off north bass island, 2 fish ohio's ,a nice grade of fish. The best bite was down east, about 6 miles east of Kelleys where my 2nd boat caught 34 nice walleye on 50' jets back 75' to 85' back on scorpion spoons. Captured 31 walleye and it took most of the day today. Fished west of gull shoal, startded fast but really slowed down. Fished moved and we didn't go in the right direction !!. Will look more northwest tomorrow. Used 50' jets back 35' and 45' with scorpion spoons. Ran a double today and the first trip was slow. We had big fish ,the largest was 31" and 10 1/2# of 20 walleye. The 2nd trip was 4 1/2 hours and we had 38 walleye. We fished about 2 miles west of Gull shoal on the 2 nd trip and 3 miles east of gull on the first trip, but started to far south early. We used 50' jets back 35' with scorpion spoons on the afternoon trip. Ran 2 boats, both did good. We captured 40 walleye on Pooh Bear today on the east side of gull shoal. Used 50' jets back 25' and 35' with releases and scorpion spoons. Captured 36 fish that went 129# just southeast of Gull shoal. Used 50' jets back 25' and 45' with releases and scorpion spoons. Ran out of midway marine today for a M S tournament. Fishing was excellant. Captured 74 walleye, kept 48 that went 187#. The biggest went 9.69# after 4 hours in the bottom of the cooler. 2nd biggest was 8#. The top 6 fish weighed 43.86# for 1st place. Hope to get pictures soon. Fished east of gull shoal about 2 miles. Used 50' with releases back 35' and 45' with scorpion spoons. Captured 42 walleye today north of kelleys Island. Used 50' jets with the releases back 35' and 45' with scorpion spoons.